What are the implications of ongoing violence and protests for Jerusalem, the Arab–Israeli conflict, and prospects for de-escalation? Ongoing violence and widespread protests in Israel and the Palestinian Territories are growing larger and more confrontational, prompting fears of a third Palestinian intifada. Meanwhile, Israel is enacting harsher security measures, including cordoning off some neighborhoods of East Jerusalem, in a crackdown that could trigger more violence and resistance. 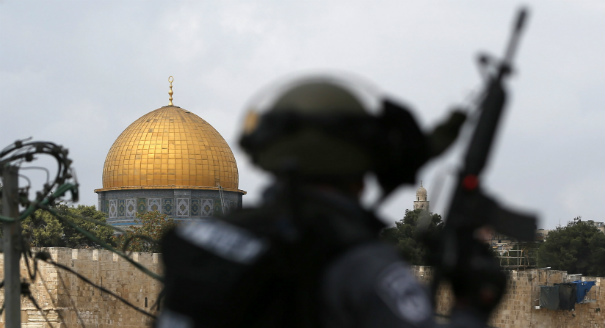 Five experts respond to these developments and examine their implications for Jerusalem, the Arab–Israeli conflict, and prospects for de-escalation. Please join the discussion by sharing your thoughts in the comments section. Jerusalem’s holy sites are being transformed from a religious symbol into a national symbol and a protected value. 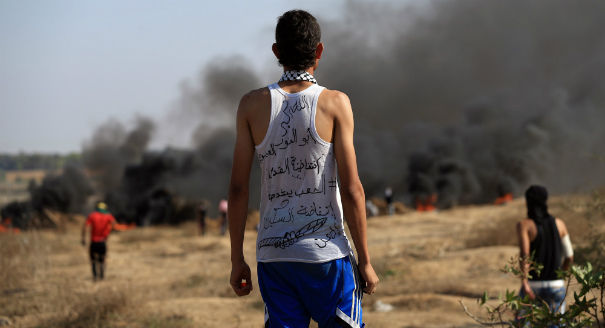 Hamas Toward a Third Intifada? 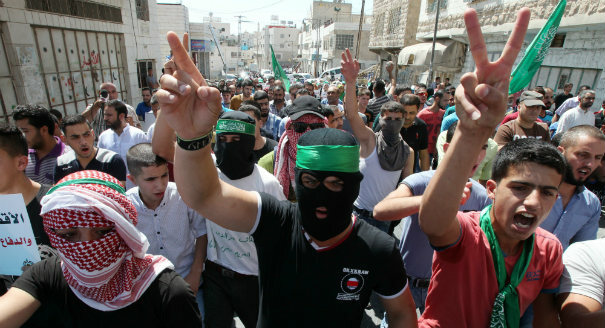 Hamas aims at a popular intifada by which the Palestinian cause can regain its popular momentum. 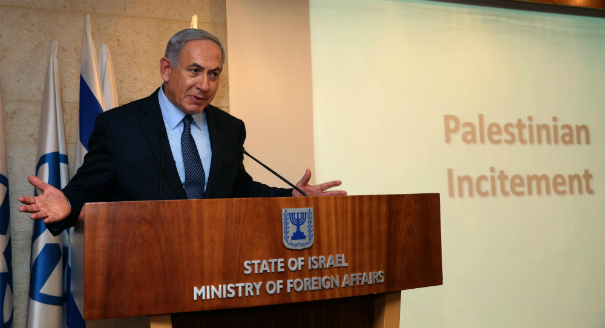 The prime minister has failed to adequately tackle the root causes of Palestinian violence. Mr. tzidkiyahu could have better included the impression that the apparent or actual support of Israel's government for breaking the status quo regarding the use of the temple mount/Holy Esplanade is considerably enhanced by the long history of the government's policies of reducing non-Jewish communities in Jerusalem and building and expanding Jewish settlements (as well as supporting illegal settlement) in the Occupied Territories. Dear oudeyyis, First of all, it is hard in the framework of a 500 words op-ed to write everything, so I chose to focus on what I see as the focal point of the current explosion. It is of course only the trigger and not the deep reason to the events - just like it was in the second intifada. Nevertheless a trigger is an important element - when sitting on a barrel of explosives the guy with the match matters. In addition - the attempts by Israel to control demographic balance in Jerusalem has failed and the ratio between Jews and Arabs in the city have changed from 25% Palestinian-75% Jews in 1967 to 37% Palestinians-63% Jews today. As long as Israel does not take account that there are millions of Palestinians hoping for their own country in Palestine, it will have to face a third and a fourth and a fifth intifada. Israeli youths will for ever carry a gun on their shoulders and Israel will hardly know real peace. What Israel needs is to understand the Palestinian position and allow a sovereign Palestinian State or definitely face the end of its democracy, that will evolve into apartheid. An important thing to consider is that most people in the U.S. do not have access to adequate media coverage of the situation to really be a relevant part of the discussion. I agree with Oudeyyis in the previous comment. The expansion of Jewish settlements leaves little hope for deescalating the ongoing violence that has shaken Jerusalem since the establishment of the Jewish state. Until there is justice for all residents within those borders who were kicked out of their homes or who continue to witness their villages shrink in size to the occupation, we cannot realistically expect peace in Palestine. Countless meaningless words, since and before he creation of Israel in 1948, all to avoid the original sin. The original sin is the creation of Israel over Arab Palestine. Foreigners, with money, world propaganda machinery, and the assistance of the west, created an illegal state and stole Arab Palestine. Every drop of blood, every life lost since originates in that original sin. The rest is just talk. Why talk about intifada three, who is behind it, how violent it will be, when everyone knows that a bunch of teenagers with knives can't beat an imperial power which has one of the best armies (and best armed, thanks to the west) in the world? What's there to speculate? Who needs specialists, scholars, etc. to explain the obvious. Desperate Palestinian youth are responding to Israel's daily campaign to drive them out of their historic homeland. Europe has as much of a media problem as the US does, for the reason this commenter alludes to. The problem is 1948, not 1967. Palestinians will not ever agree to a political solution that secures a political entity controlled by Jews on any part of historical Palestine. The consequences may be harsh but that is the inescapable reality. Good luck trying and finding that in any press outlet in Europe.